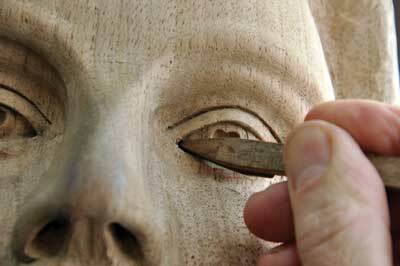 The surface texture finish of a carving or sculpture is a matter of subject and personal taste. For my style of work, I always finish to a smooth polished surface, as this brings the form to life and enhances the effectiveness of the shadows as they strike across the piece in the changing light throughout the day. The sanding of a carving can be a very laborious task, so my intention with this article is to guide you through the quickest and most effective techniques to give you a successful and fantastic finish. Before you start the first grade of sandpaper, it is very important to go over the complete surface of your carving and tidy up any deeper gouge cuts or uneven surfaces. Make sure that all the corners, the eyes and eyelids for example, are neatly cut and finished without any deep knife or messy tool cuts around them. This will give your work a better base from which to start the process of sanding, and ultimately speed up the process. 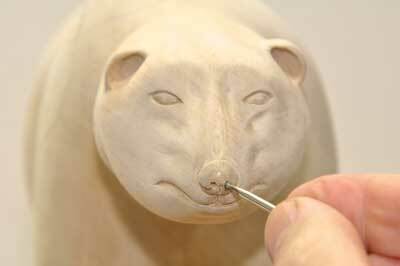 It is also very good practice with some subjects, in particular figurative or animal, to sand as you work through the carving. 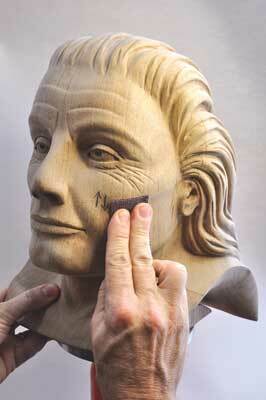 When carving a figure, one normally starts with the head and works down from there, so when the tooling work is finished on the head, one can proceed with the first grade of sanding, which will bring the subject to life and give you a clearer understanding of how it will 'connect' to the next area you are about to work. This also breaks the task down into smaller chunks, which is of great value when it comes to the final sanding, as you would have already completed the hardest and most important grit. The first grit that you use, be it 100 or 120, is the most important and hardest of all of the grits, as this is used to eradicate all of the tool marks and blemishes etc completely. This is a fundamental rule and has to be done with great care and attention, otherwise any tool marks, knife cuts or blemishes will persist through the other grades and will show when the carving is finished and polished. 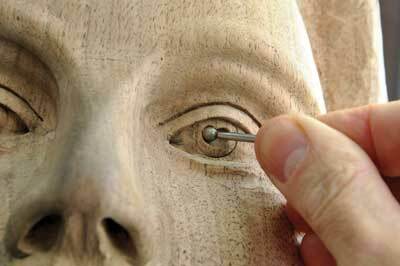 This is reasonably easy to do on the more open areas of your work but much harder when it comes to awkward areas around the finer details and corners of a carving. When you reach the stage when you think you have eradicated all of the tool marks from your carving, take it to a source of natural light and examine it carefully by slowly turning it around and observing the shadow as it casts across the surface, as this will show up any undulations or little dark uneven blemishes left by the gouges. When you have completed the first grit, use a soft paint or polishing brush to dust off the carving, giving special attention to corners, knife cuts or deep folds. 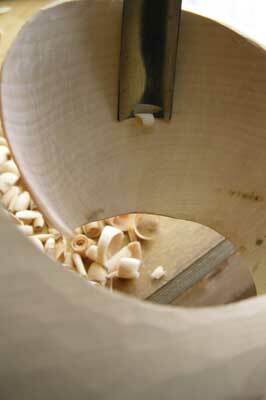 Then pour or brush hot water over your carving and leave to dry -Â this naturally raises the fibres of the wood, allowing the following grit to be worked more easily and effectively. 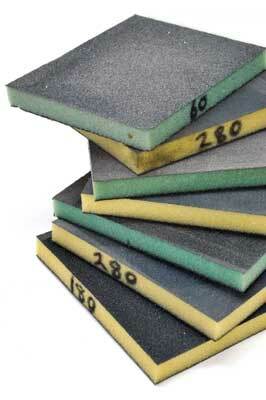 It also exposes any deeper scratches or areas that need to be worked on a little more before moving to the next grit. Now you can simply work through each of the subsequent grits meticulously, removing all the scratches from the previous one and repeating the hot water process in between. 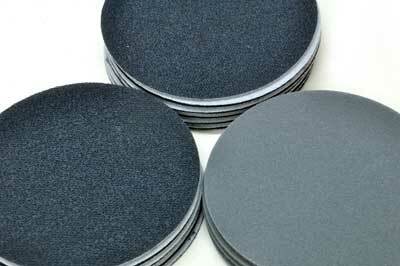 When you have worked all the grits to 400, use one of the very fine grit discs to bring the surface up to a fine sheen. There is a variety of Velcro backed discs such as Festool's Platin Disks, or Hermes' Fine Net Disks, which come in grits from 400-4,000. These are brilliant for eliminating those final minute surface scratches left from the 400 grit to bring the carving to a complete polished finish. I would not, however, recommend using wire wool for the final polishing unless you firstly seal your carving with sanding sealer or several coats of Danish oil. If used on bare wood without it being sealed, then it will produce nasty grey marks that are almost impossible to remove without going back through the grits. The Velcro discs give just as good a finish as wire wool, if not better, and without all the mess of the minute particles of steel getting into every nook and cranny. Through trial and error I have found that you get what you pay for with sanding products and the most effective ones are the most expensive, but the extra that you may pay is easily justified by their durability, life-span and speed of use, which in all fairness is exactly what we want. The main one that I have been using for many years now is the RB406 J-Flex, cloth-backed, aluminium oxide roll, which comes in grits from 80 to 600 and in 100mm x 1m lengths. It is exceedingly flexible and takes folds very well without fracturing and becoming useless, so it is great for working into tight corners effectively. 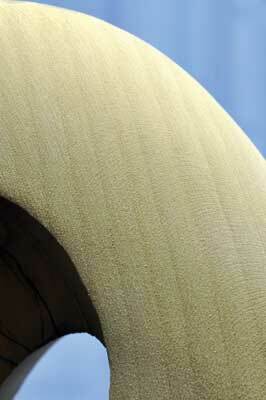 It can also be lubricated with water to wash it, or oil for certain finishing purposes. Some of the main woodworking companies charge around Â£4.30 per metre for it but if you do a search on Google, you will be able to find it for Â£2.25 a metre. 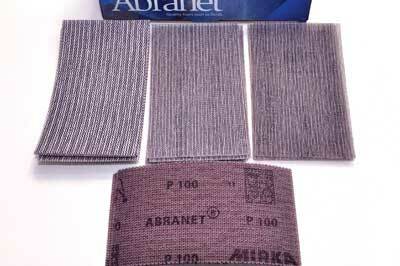 I highly recommend the new Abranet strips by Mirka. 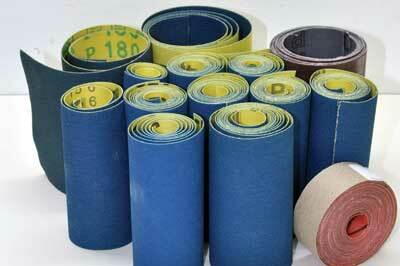 They are reported to be one of the most important developments in the history of sandpaper, which I agree with. 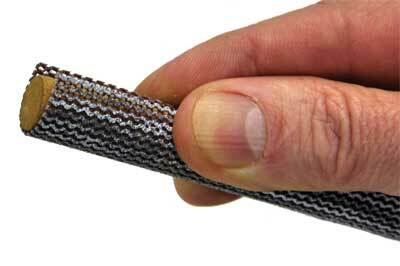 The product has a unique webbing construction that is Velcro backed and contains thousands of small holes which keep the dust off the surface of the abrasive material, and produce an incredibly smooth uniform sanding pattern and surface. The image below left shows up close the even surface of the wood after 120 grit was used. It is very quick to cut through the gouge marks and remains very effective in its grit far longer per strip than all the other conventional sandpapers I have ever tried. The one negative aspect of its composition is that it does not fold as well as the J-Flex, especially in the coarser grits, due to its stiffness. It is available in grits 80-600 and comes in various sizes, for example: 75 x 125mm strips in a box of 50 for around Â£12. I have found the cheapest prices on eBay. 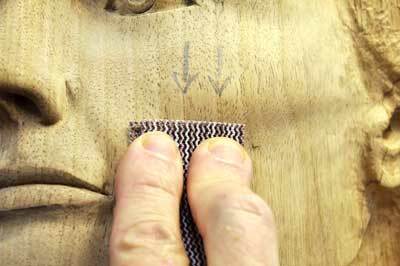 The most important rule of the sanding procedure is always to sand in the direction of the grain where possible, as sanding across the grain creates scratches that are extremely hard to remove. If this is not possible then after you have removed all of the tool cuts with the first grit, go over these areas again using the same grit but use a softer pressure, and carefully remove all of the deeper scratches. Cut your sandpaper into small strips about 40 x 100mm, and don't try to economise on it - when it starts to become less effective and you are working harder, then it is time to cut a new piece. Sanding sticks are an excellent solution to many awkward and inaccessible areas that can't be sanded properly with your fingers. 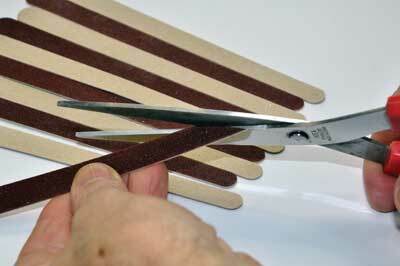 Simply cut the ends to the correct shape and size for the job that you are doing and either hold the sandpaper in place on the tip of the stick, or draw around the shape of the stick onto the sandpaper, cut out the shape and fix it to the stick with a spot of instant glue. Once worn, it can easily be removed with a knife and then after a quick rub over the tip with 100 grit, it is ready to be used all over again. 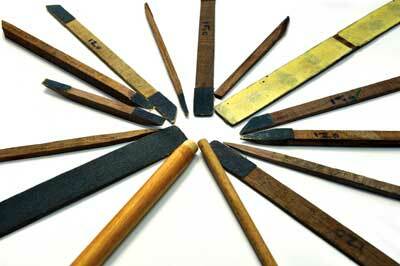 Similar to the sanding sticks, manicure emery boards are excellent for trimming to the right shape and angle for awkward areas and come in many different grits. 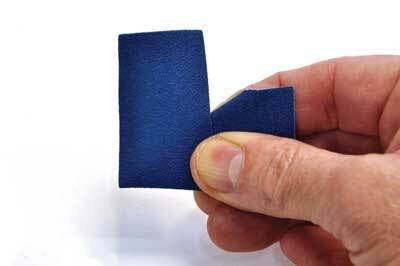 They are quite rigid and are easily cut back with scissors when worn. 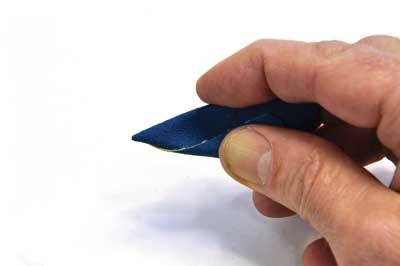 There are many ways in which you can roll or fold your sandpaper to try to shape it to the same contour as your carving, but if you wish to get into a tight corner of an eye, for example, then this fold is particularly good because it forms a very rigid spine from the end to the tip, allowing you to add quite a lot of pressure to the area that you are working on. 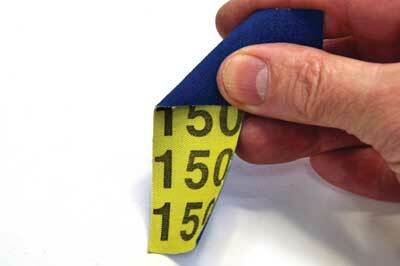 Follow steps 1-4 to fold the paper to best advantage for getting into those tight spots. 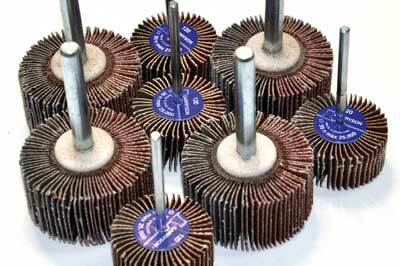 Diamond rotary burrs are excellent for smoothing wood, but you don't just have to use them in your power carver. They can be used by hand to good effect in small holes such as the pupil of the eye or nostrils etc, which in this situation is a much safer technique than using them in a power carver with the possible risk of it spinning over the crisp edges of the outer circumference of the pupil. 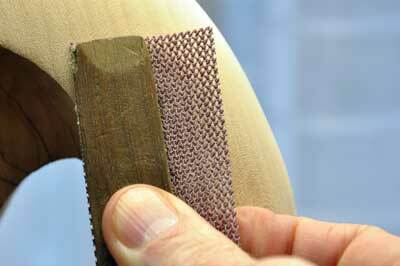 Flap wheels have a fairly limited use for sanding carvings but can be handy when trying to reach awkward undulating surfaces - just be careful to keep them moving evenly so that they do not create any grooves and further add to your work. Sponge-backed sanding materials are also very good for sanding over undulations and curves and can be very useful over the larger surfaces, but they do tend to clog very quickly, so be prepared to keep knocking them to get the dust off. 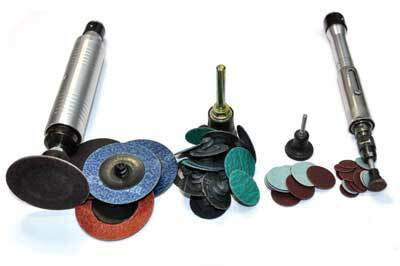 Miniature sanding discs have their place in the finishing department and come in many sizes and types - Velcro, twist and lock, screw-on, and self-adhesive. 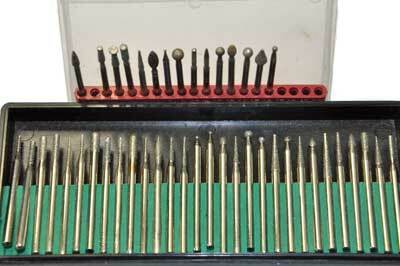 All are very good for getting into awkward areas and can be used in any drill, power carver, or pneumatic hand pieces. 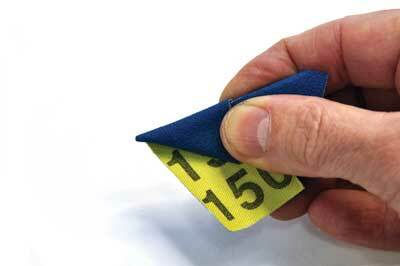 The self-adhesive ones are the cheapest but do tend to fly off if you let them get too hot. They are available in all grits up to at least 400 and vary in price - the twist and lock being the most expensive but the most durable and long-lasting. If you follow these simple guidelines with patience, perseverance and meticulous attention to detail, then you will always be able to bring your projects to a perfectly polished, professional-looking finish with a great wow factor to boot.